$915.00 each List: $1,220.00, You Save: $305.00! Progressive Tension Snare Strainer: tension can be adjusted more heavily toward the thicker-gauge snares, giving you more range of timbres and colors. Get more response at low volumes and a full tone at loud volumes. Custom Snares: Gold (gut-like for loud volumes), Blue (dry for medium volumes), and Stainless Steel (bright and wet for soft volumes) snares are all a part of this single snare unit. Tension can be adjusted to taste. 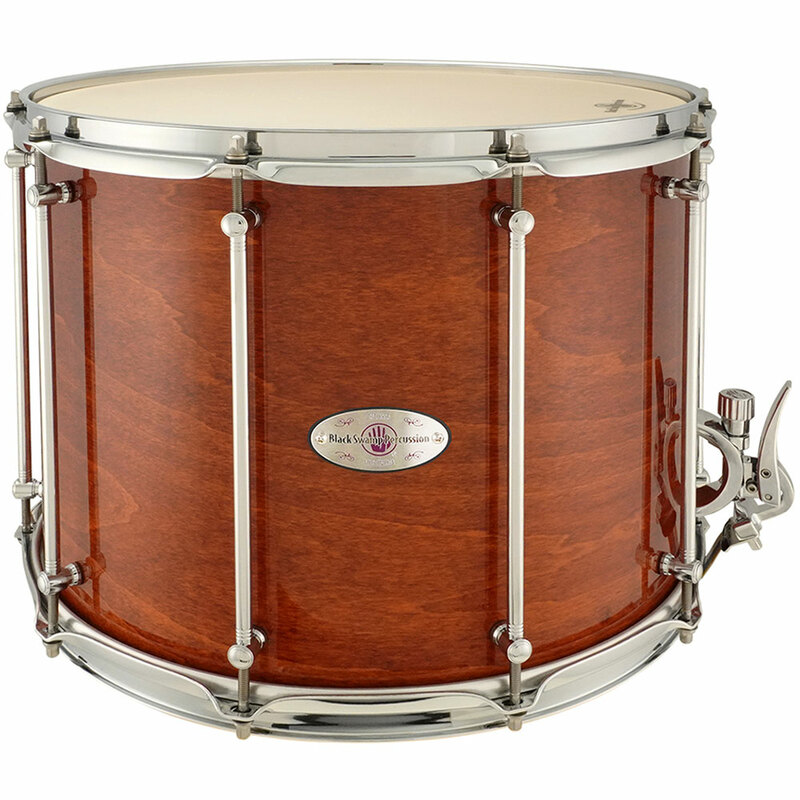 The mahogany finish and arch lugs give this drum a classy, professional look.